Today, we present a new way to personalize your stickers, and to shar an useful message for other car drivers. This will also permit you to add a personal touch to your car. 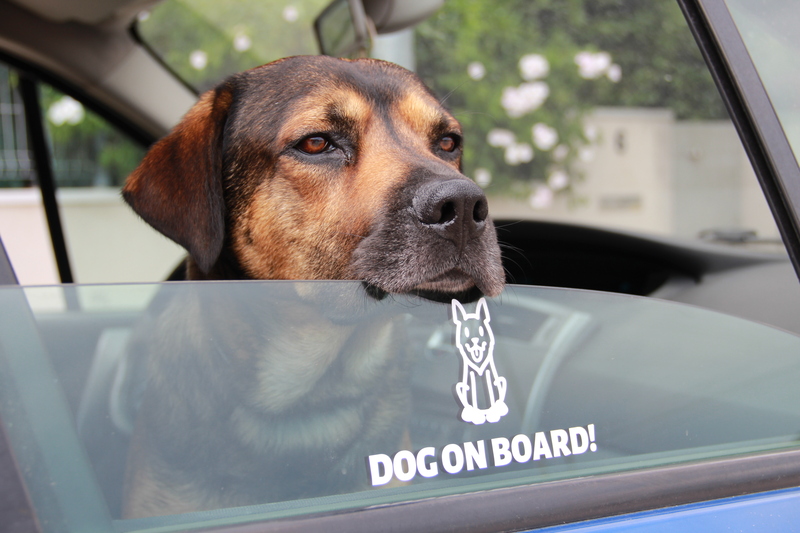 You can now show that your dog accompanies you everywhere! Therefore you can ride in peace! Other drivers are now aware and will be more careful! You use your imagination and create fun stickers with your best friend’s silhouette! You can also customize your text, by writing the name of your pet, you can also add symbols or patterns to make your sticker even more fun! In addition, our stickers are weather and water resistant, and are very easy to apply. So do not hesitate!